Turmeric is getting a lot of attention for its health benefits, but golden milk, as delicious as it is, isn’t the only way to get this anti-inflammatory herb into your diet. 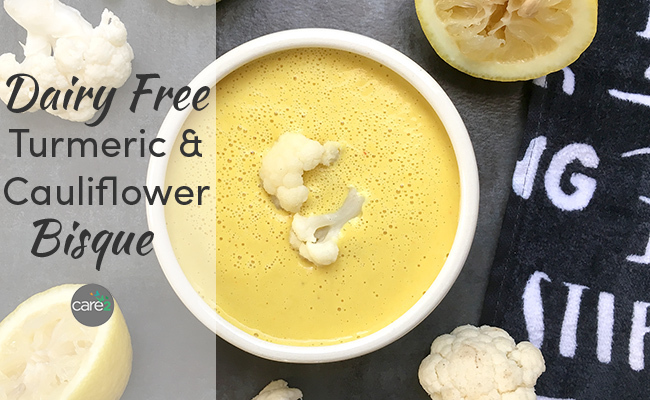 Try this warming, dairy-free cauliflower bisque, which gets its vibrant yellow color from plenty of turmeric and its creaminess from two surprising ingredients. Puree until smooth. In a high speed blender, puree for 4-6 minutes to blend and heat at the same time. If you’re using a regular blender, transfer the smooth puree to a pot and warm before serving. Finally got around to making this. Sensational! Sooo good.